Our client, a leading financial services firm based in Kansas City, MO, is looking for an experienced Lean Six Sigma professional to join their growing team. This role will be a catalyst for operational excellence across the organization through consulting, training and executing projects to simplify processes, eliminate waste and solve business problems. Team members are responsible for developing, planning, and managing implementation of activities for complex projects that are part of a large program with broad scope, high impact and longer implementation time frames. The role leads both the conversion as well as the business change required, while ensuring that day-to-day operations keep functioning flawlessly during the transition. This position consults with sponsors, participants, stakeholders and customers to identify and resolve business problems, review proposals including goals, time frames, and funding limitations, manage project teams and ensures program goals are accomplished. Responsible for the development and implementation of assigned program(s) including coordinating the business change. Act as a single point of contact for assigned program(s). Work in partnership with business leaders to obtain and commit necessary associate resources at the appropriate time, level, and expertise to support the projects required to support the program. Deliver programs on time and on budget with superior quality. Provide regular status updates to leadership teams. Monitor and mitigate project/ program risks. Ensure completion of program deliverables. Ensure projects that are part of the program are delivered on time and on budget with superior quality. Oversee teams of individuals from cross functional teams, as well as vendors to accomplish project/program outcomes. Ensure compliance with corporate project management office, using appropriate project management tools, processes and procedures. Manage the project budget, putting in place financial disciplines and ensuring their execution to meet or beat budget. Manage vendor relationships and ensure their delivery, on time and on budget. Responsible for the delivery of project components. Bachelor’ s degree in Business, IT, Management or equivalent business experience. 7-10 years of business experience. 5 years of project management experience. Program management experience leading large programs that involve significant business change. Experience leading large teams in a matrix management environment. Demonstrated track record of establishing priorities and meeting deadlines. Experience developing and managing program budgets. Knowledge of business case development including cost/benefit analysis, NPV, current and future state assessments. Experience managing vendor agreements and tracking service levels. Familiarity with compliance (regulatory, SOX, etc.) and governance issues. Advanced oral, written, and interpersonal communication skills. Strong presentation and facilitation skills to communicate with and persuade a wide range of audiences. Strong supervisory and matrix management skills and ability to oversee tasks delegated to others. Spencer is the Founder and Managing Partner of MBK Search, LLC - an executive search firm that specializes in the governance, risk, compliance, and cybersecurity market space. Prior to founding MBK, Spencer was Head of Operational Risk at Bridgewater Associates. Before moving to Bridgewater, Spencer was the Head of Risk for ICAP, Plc covering the Americas Region. He started his career in venture capital as an investment associate. 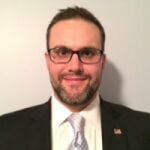 Spencer graduated from Harvard University in 2001 and resides in Ridgefield, CT with his wife and two sons.